who is himself a paraplegic. We supply and fit all types of adaptations to all kinds of vehicles to restore your independence. 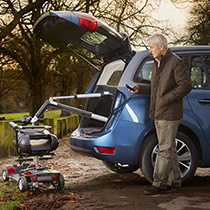 We work with the Motability Scheme, to provide a wide range adaptations to vehicles that meet our customers' disability needs. If you have lost the use of one or both of your legs then a push/pull hand control will allow you to drive using your hands. If you’re struggling to load your wheelchair or mobility scooter into your vehicle then a hoist will make the operation effortless. 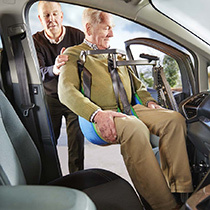 If you’re finding it difficult to transfer into your vehicle then a swivel seat can help. 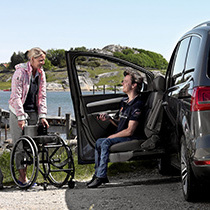 If you are unable to transfer from your wheelchair into your vehicle then a person lift will hoist you into the vehicle onto the original seat with little effort.